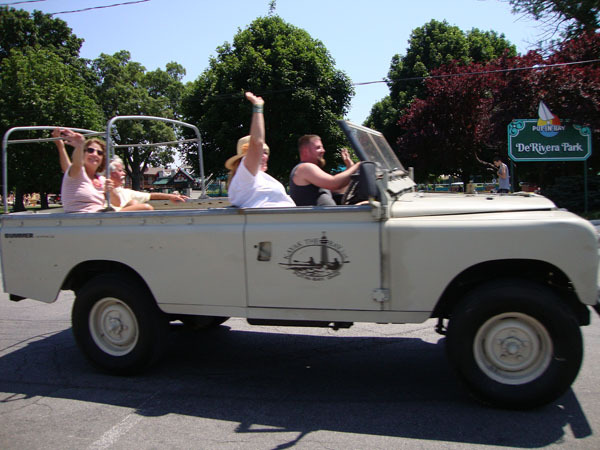 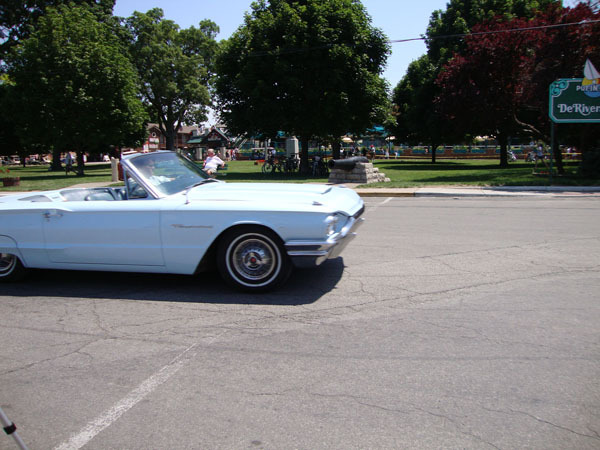 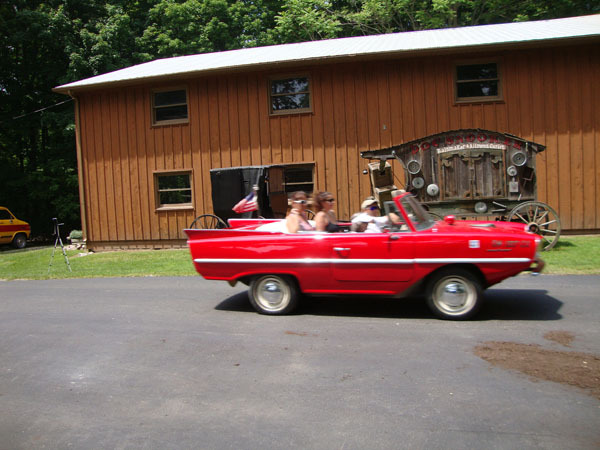 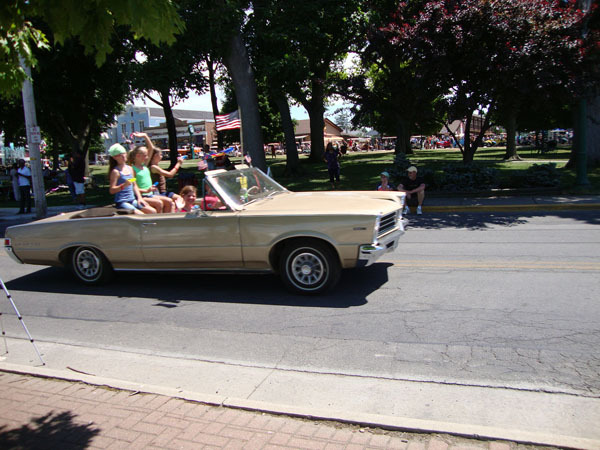 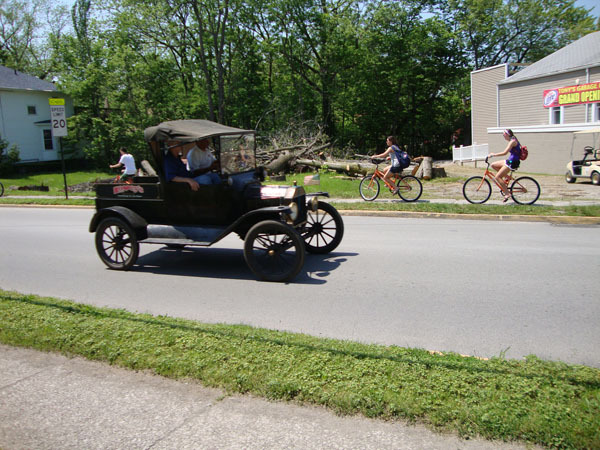 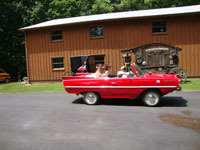 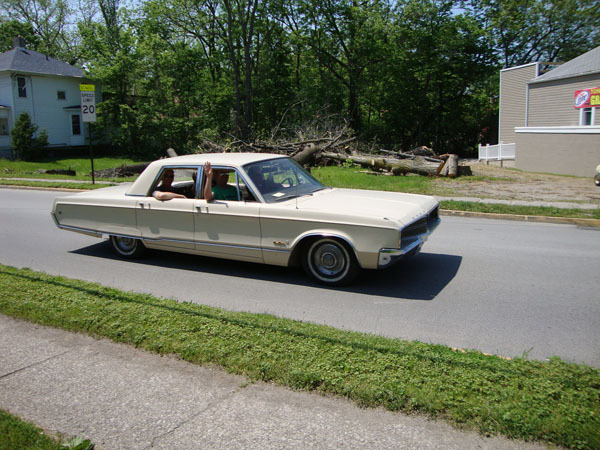 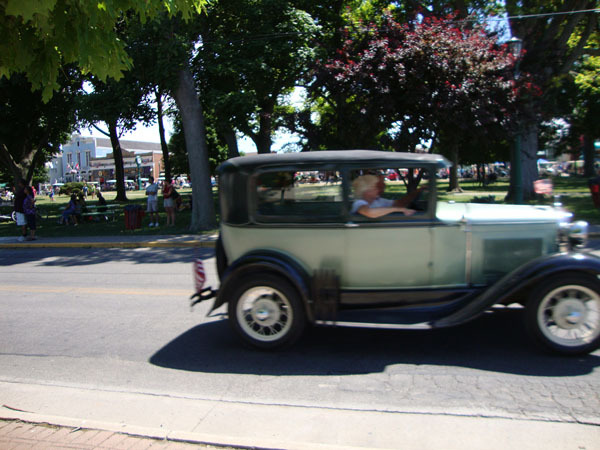 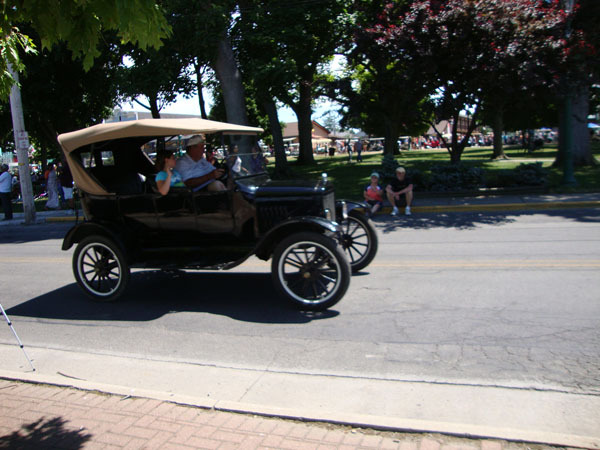 The Put-in-Bay Antique Car Parade route changes slightly every now and again depending on who is hosting the post-party, but it usually remains basically the same. 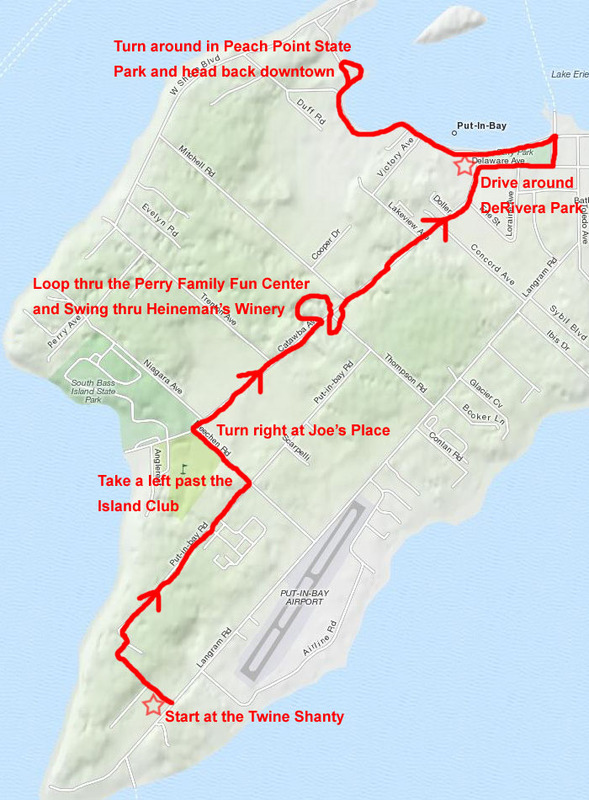 The starting point is always at the Twine Shanty located just north of the Miller Ferry dock. 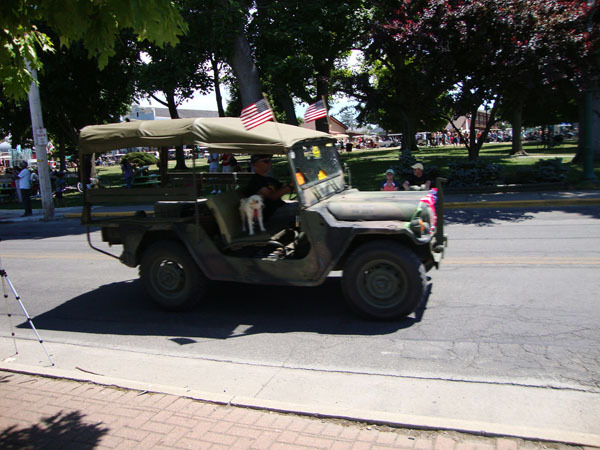 This is where vehicles participating in the parade congregate for a pre-parade party and social gathering. 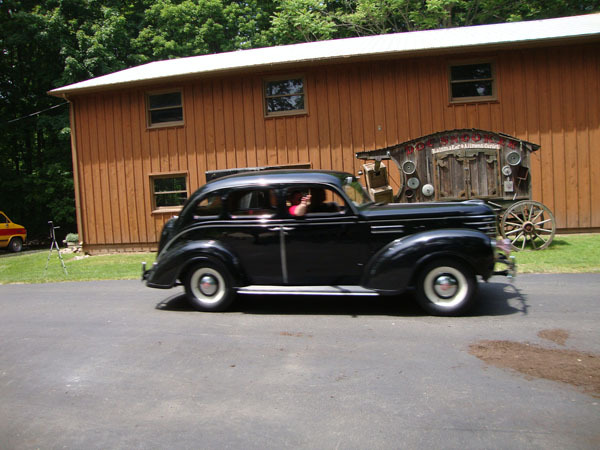 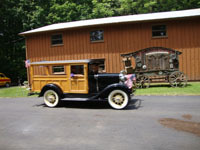 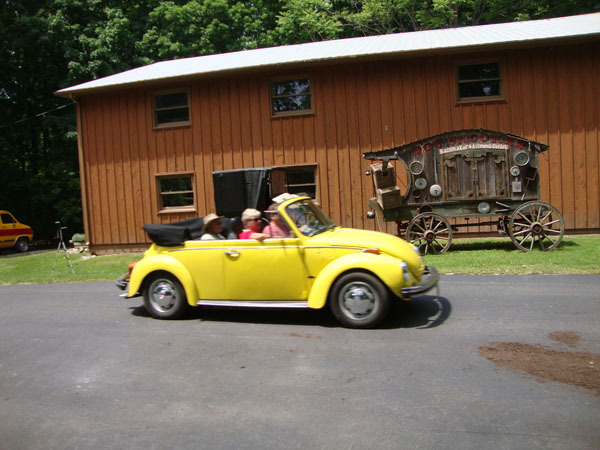 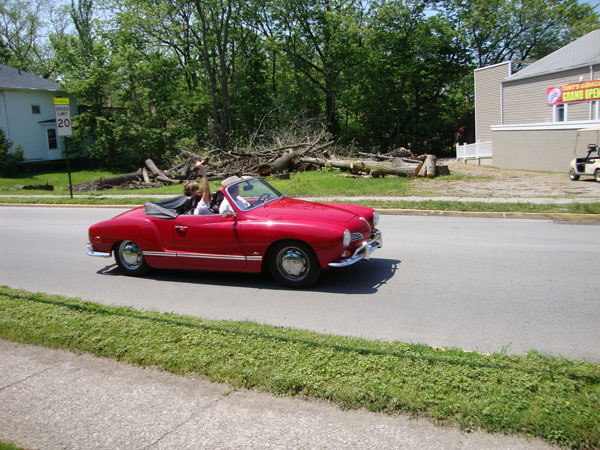 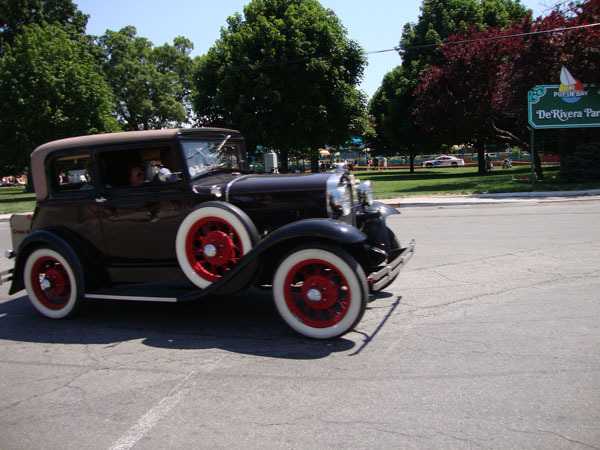 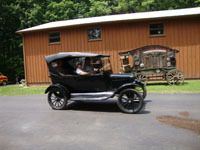 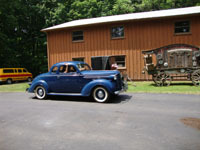 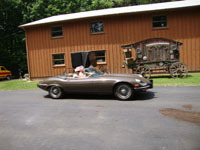 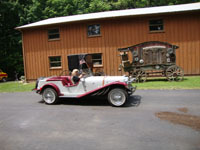 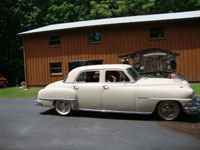 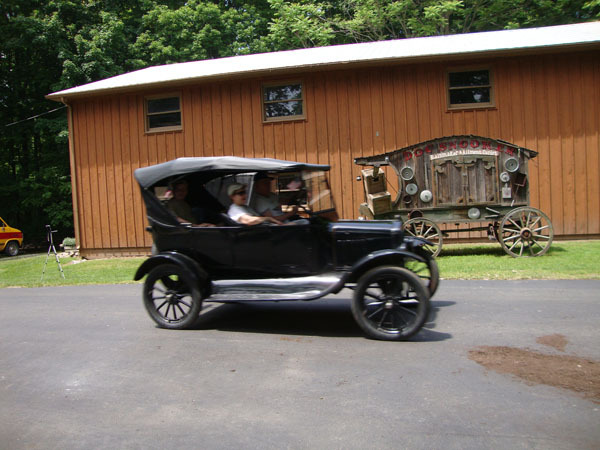 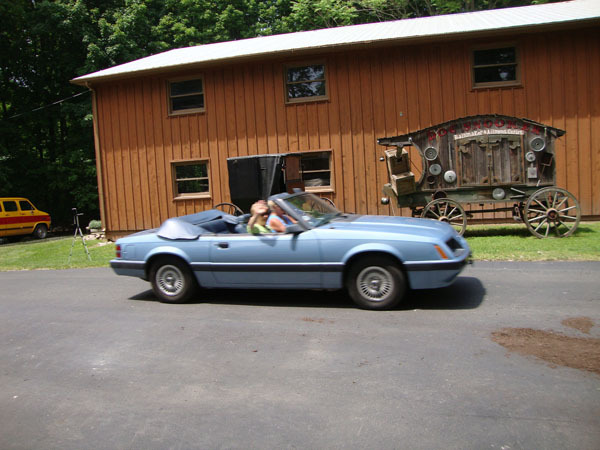 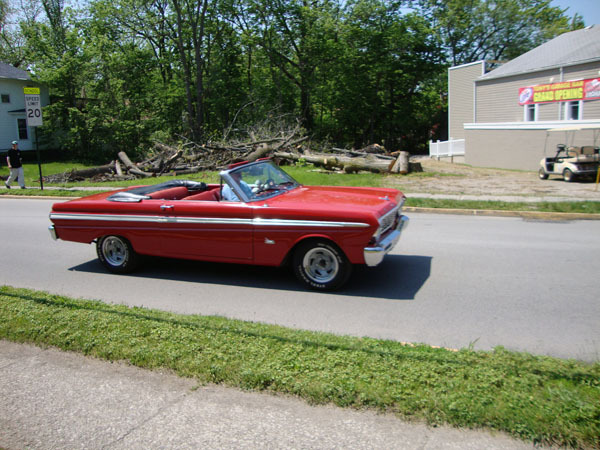 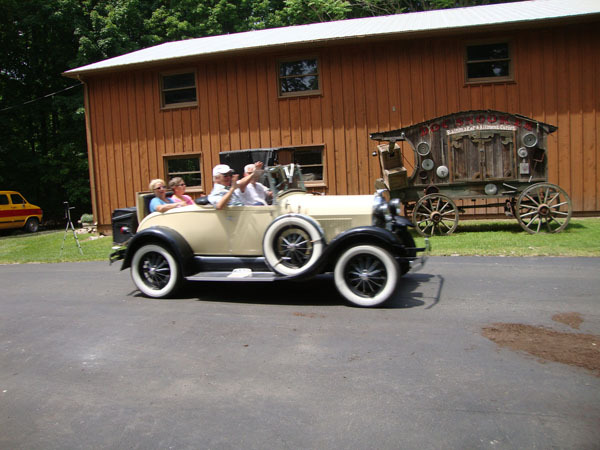 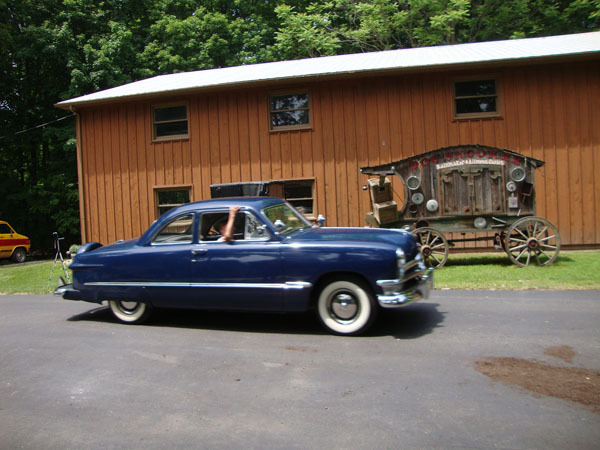 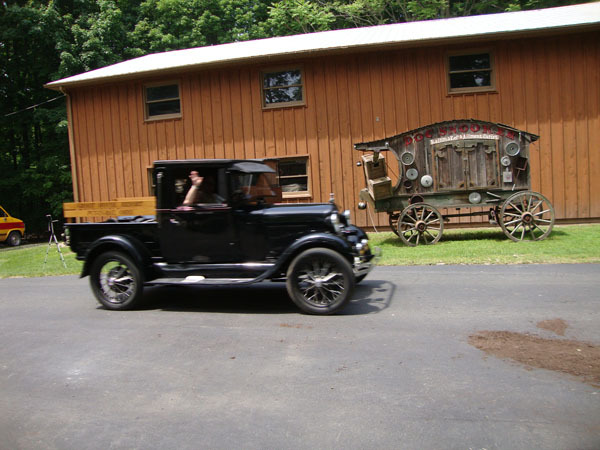 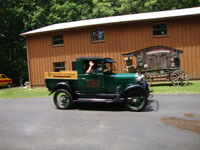 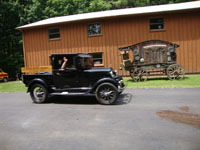 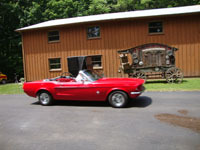 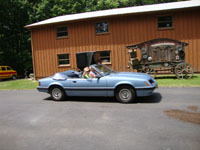 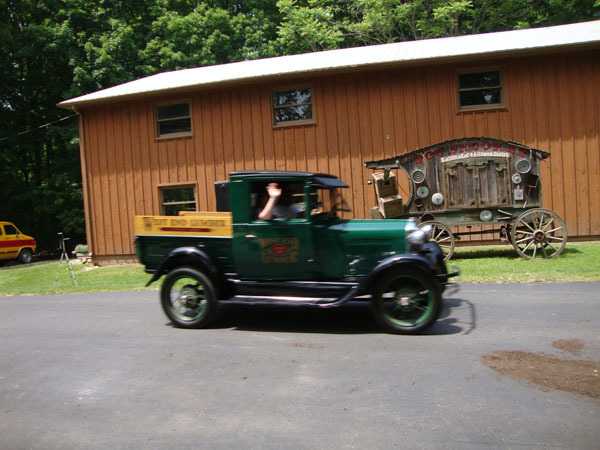 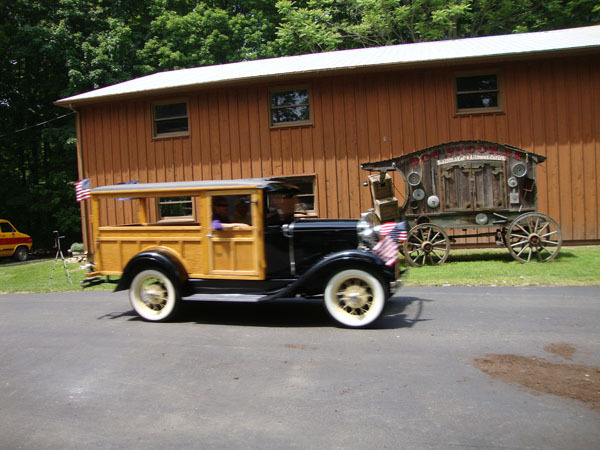 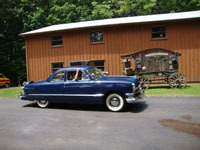 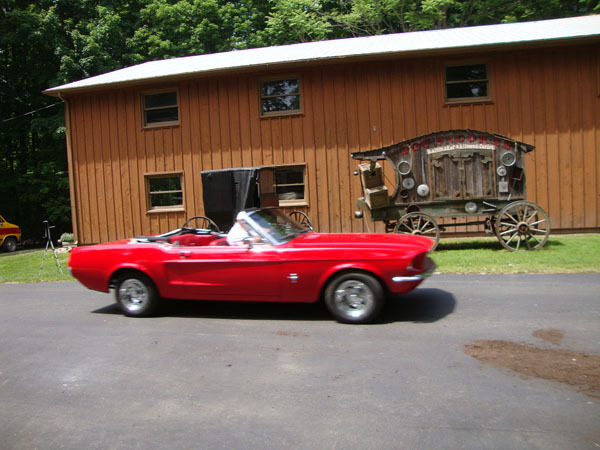 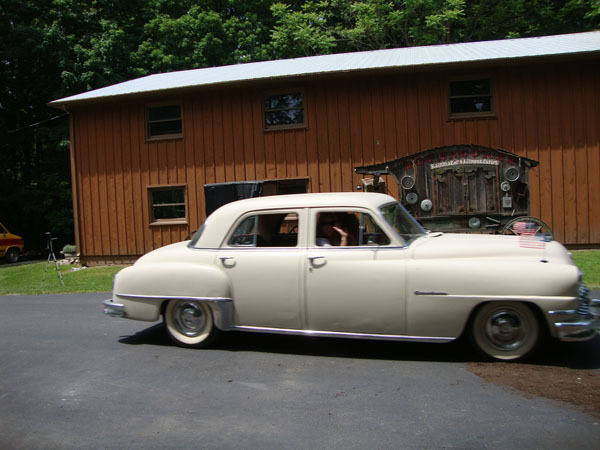 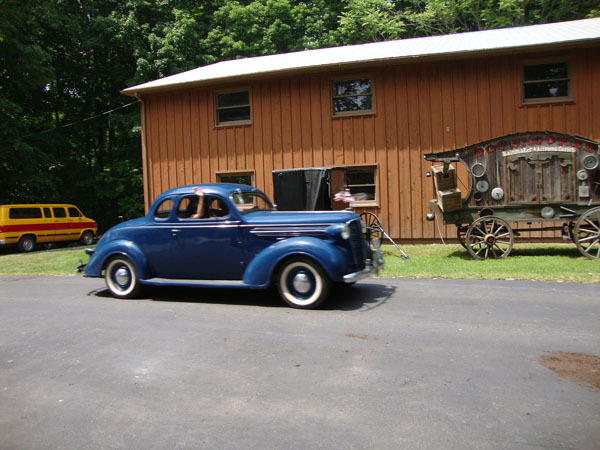 It is a great spot to wander amongst all the antique cars while they are all parked together. 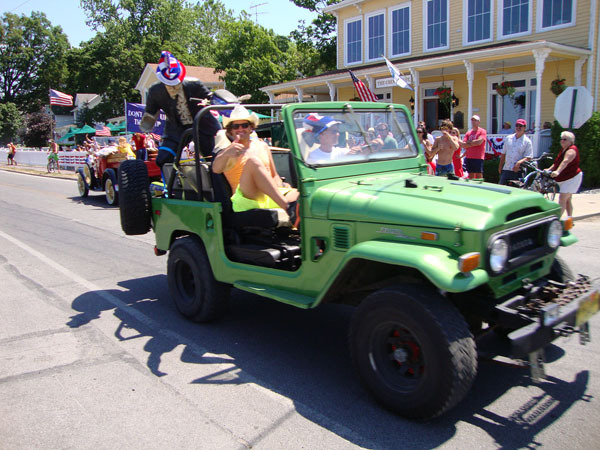 They form in to lines and are sent out by the parade leader after collecting their wristband and goodie tickets. 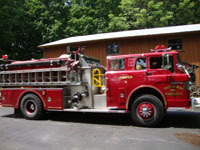 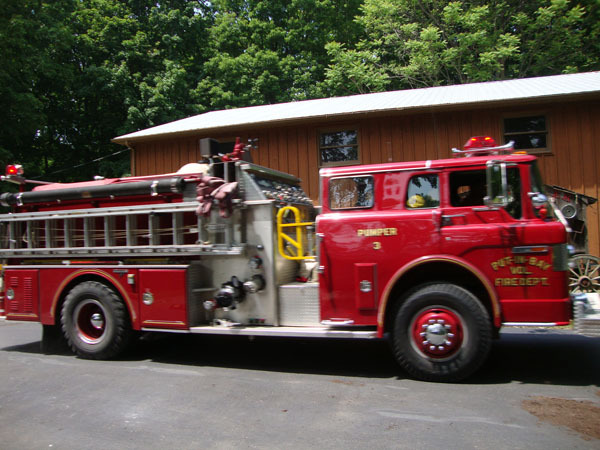 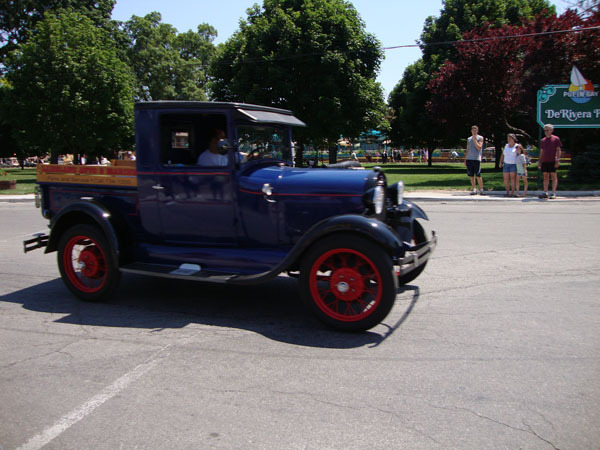 The lead car is always the antique police car (think Barney Fife's Mayberry Police Car), followed by the antique fire trucks. 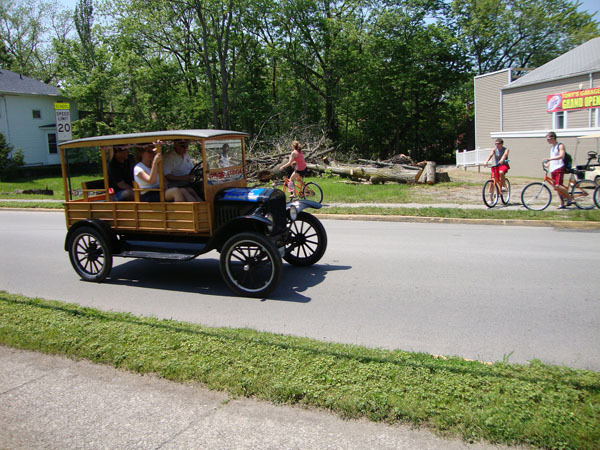 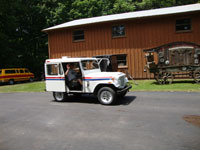 The vehicles progressively follow from this point onward. 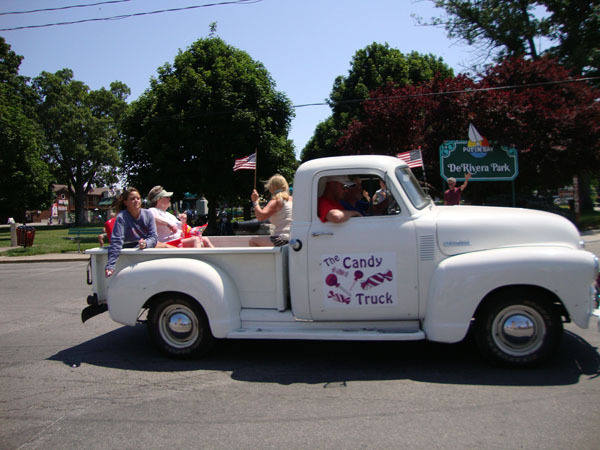 The very last two vehicles are usually the Candy Truck (and yes, they have people throwing out candy from the back for the kids!!!) 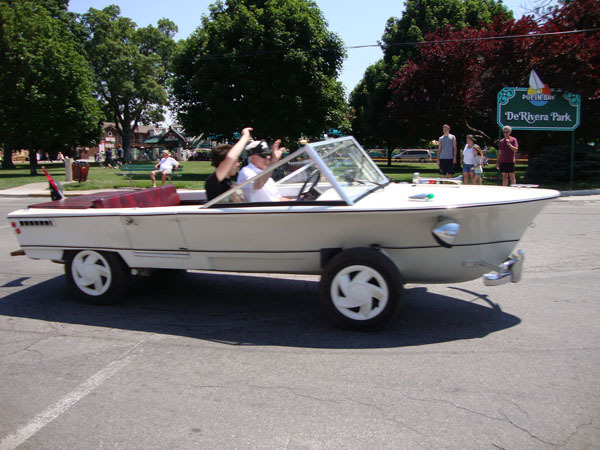 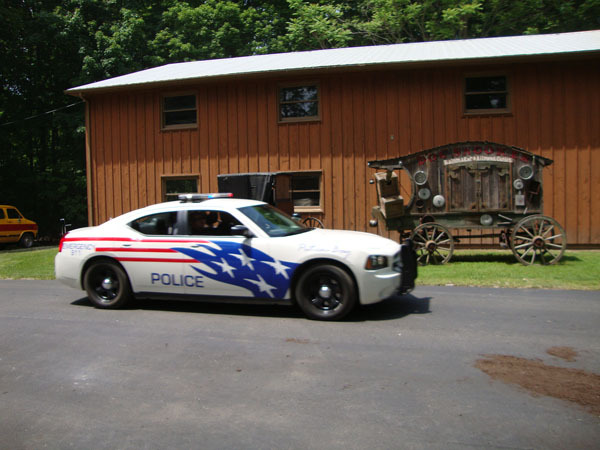 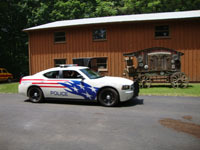 and a Put-in-Bay police cruiser. 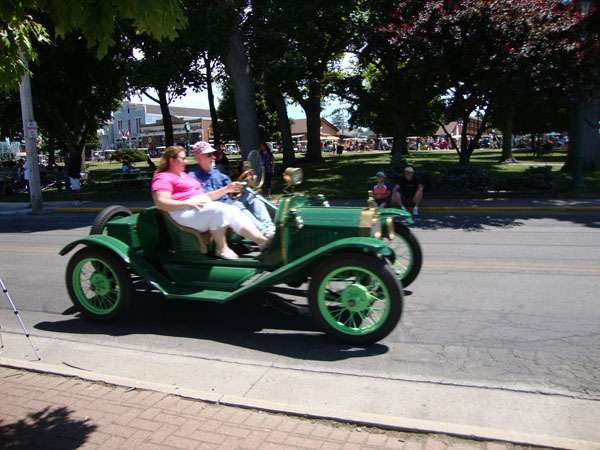 The vehicles leave the Twine Shanty and head east and north along Put-in-Bay Road, take a left at Meechen, and a quick right at Joe's Place (which is a great spot for sitting on their outside patio and watching the parade go by). 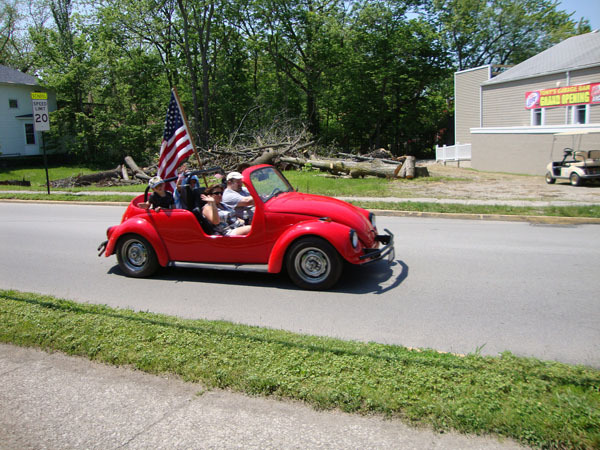 At this point, they sometimes take a loop down Trenton to Westshore and back up Mitchell if there are a lot of cars in the parade that day, but usually they go straight down Catawba until they hit the Perry Family Fun Center. 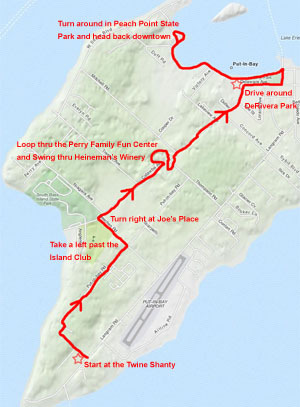 At this point they enter and go around the putt-putt course, get back on Catawba for a second, then go around the parking lot in Heineman's Winery, across the access road, and shoot down Catawba in to downtown. 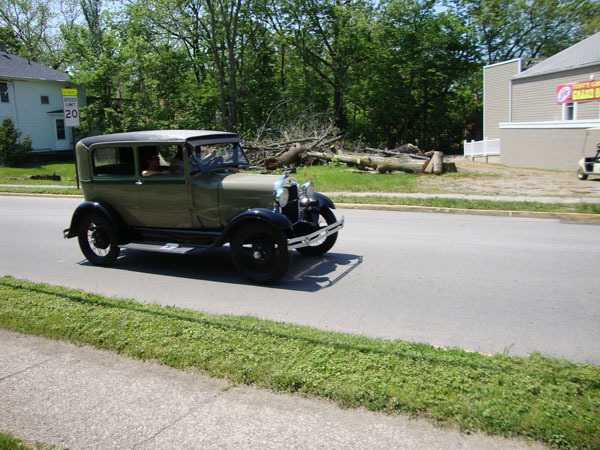 By now, hopefully you have found a nice spot downtown to sit and watch! 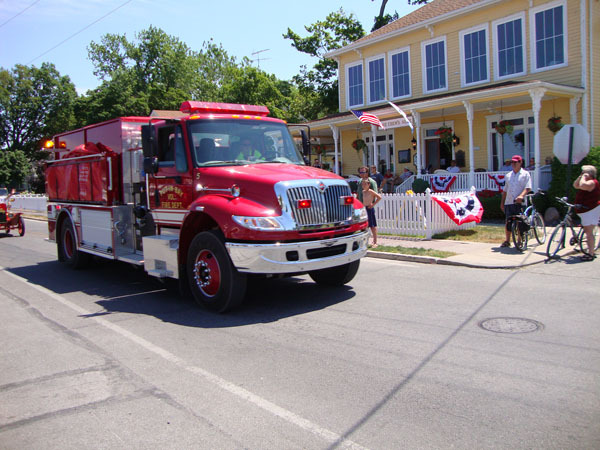 Check out Mr. Ed's for a great bay-view patio and spot to enjoy a cold beer or yummy sandwich while watching the parade. 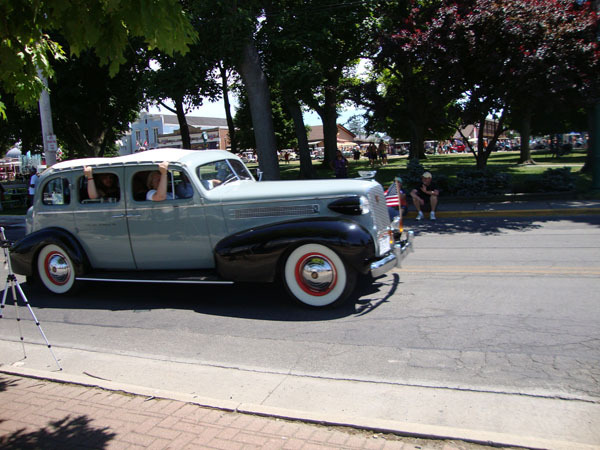 Once downtown, where the big crowds of people usually are and where the police have cordoned off the streets, the parade slowly glides down Delaware Ave, then up Hartford, down the bay drive (OH-357), around the marinas, and does a double-back at Peach Point State Park. 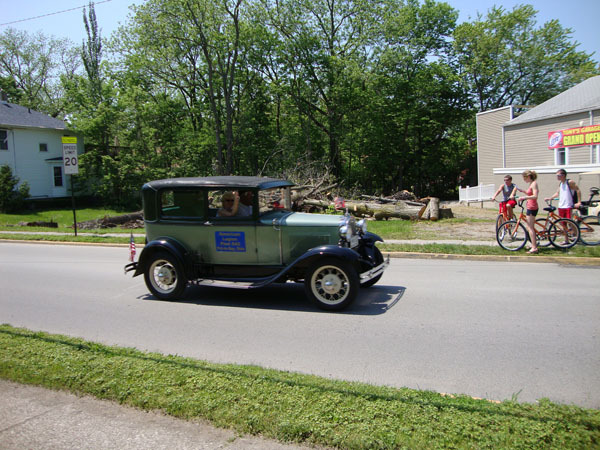 The cars usually come back downtown for a second loop around DeRivera Park, but this depends on who the post-parade sponsor is. 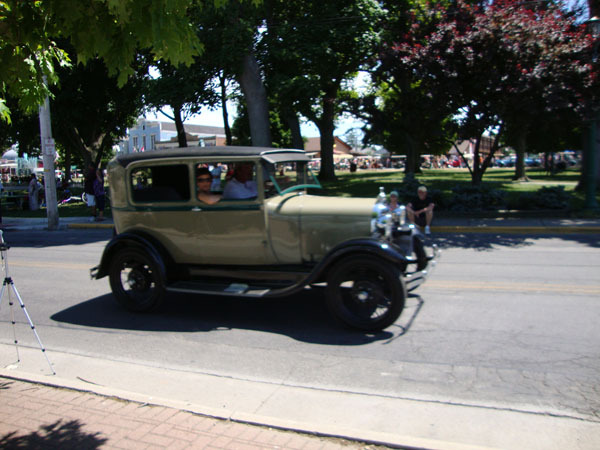 You can always count on at least one swing of the parade around the downtown area, so find a good spot to sit (the Gazebo Patio at the Crescent is an awesome spot and usually WestSide Steve is playing on Sunday afternoons), and enjoy the parade! 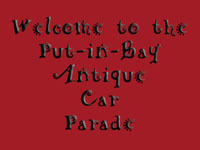 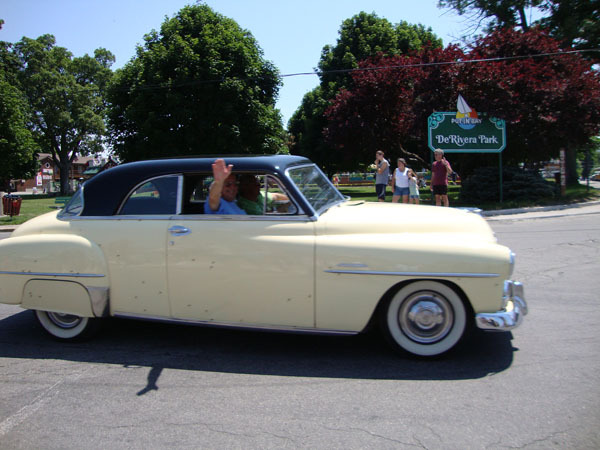 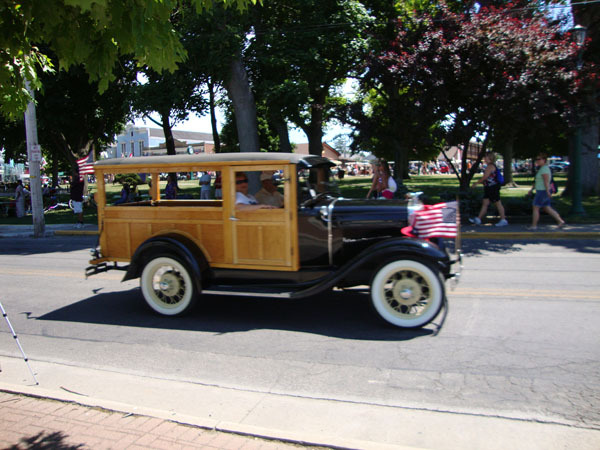 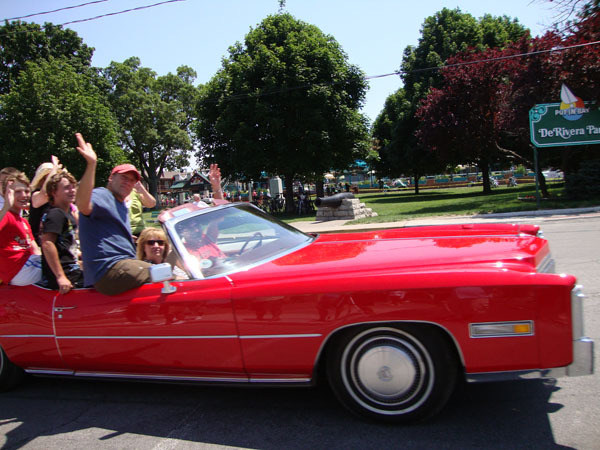 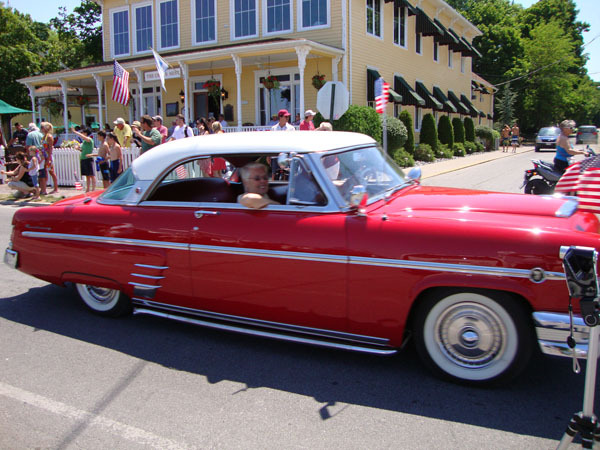 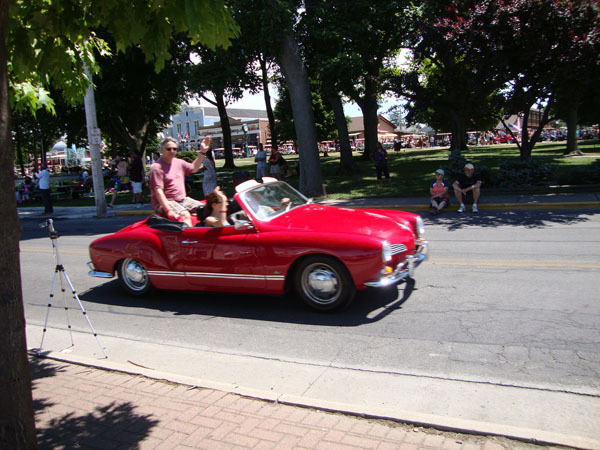 Click Here for a larger printable map of the Put-in-Bay Antique Car Parade route.